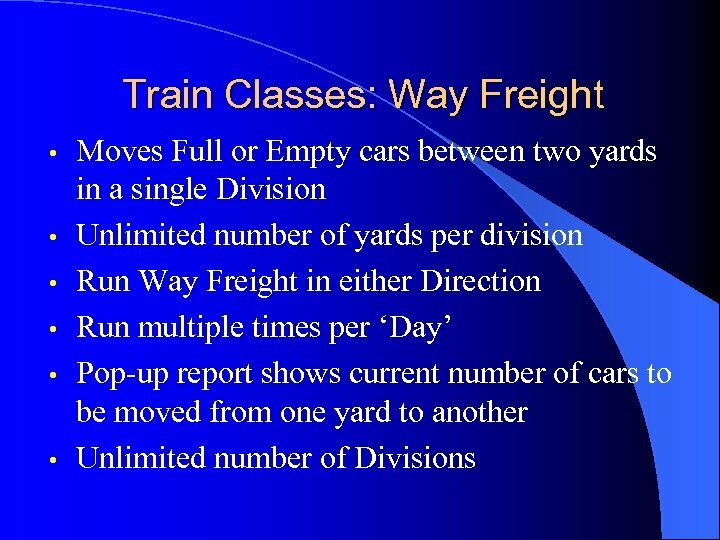 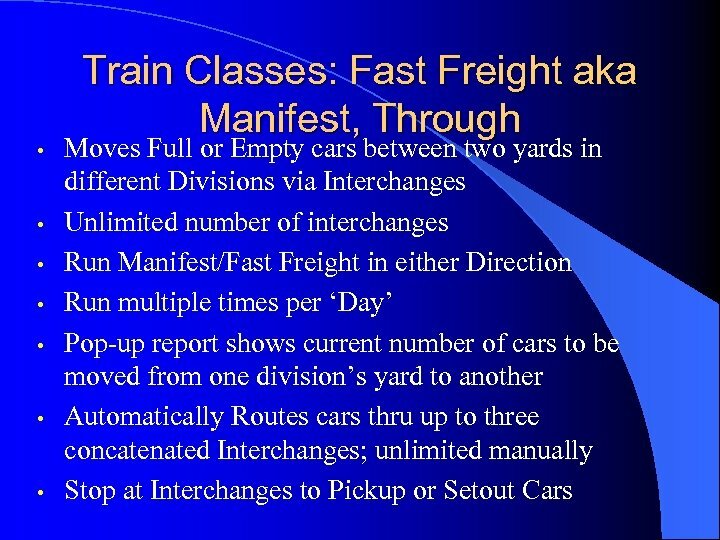 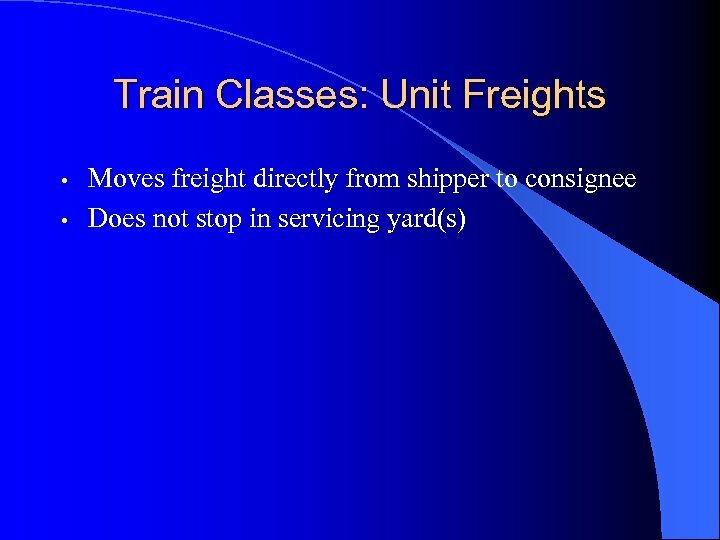 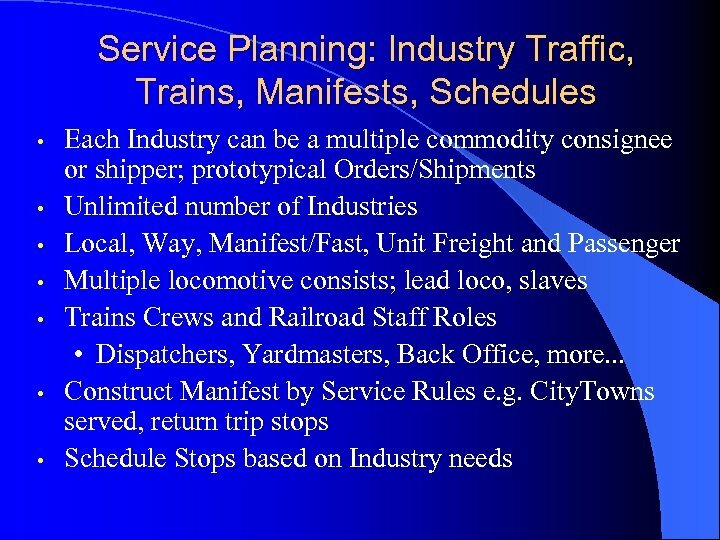 Train Classes: Passenger • • Moves passenger cars from yard to yard with stops at stations along the route Can be ‘locked’ so same train and cars can be run on successive days with automatically created manifest for next use. 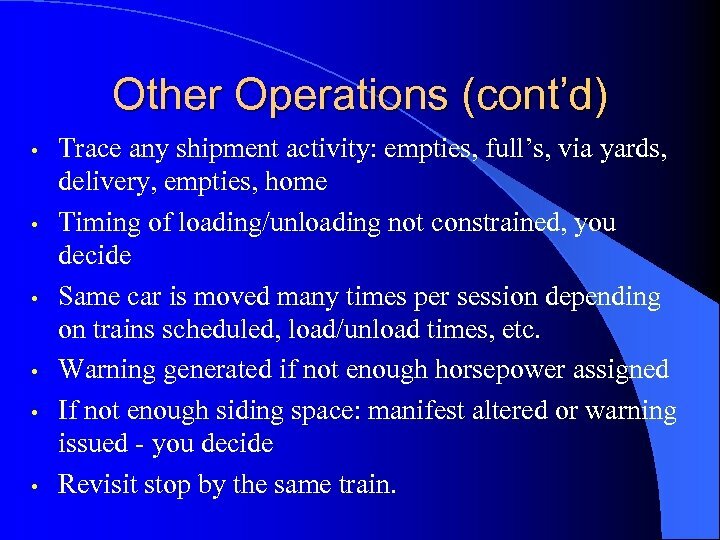 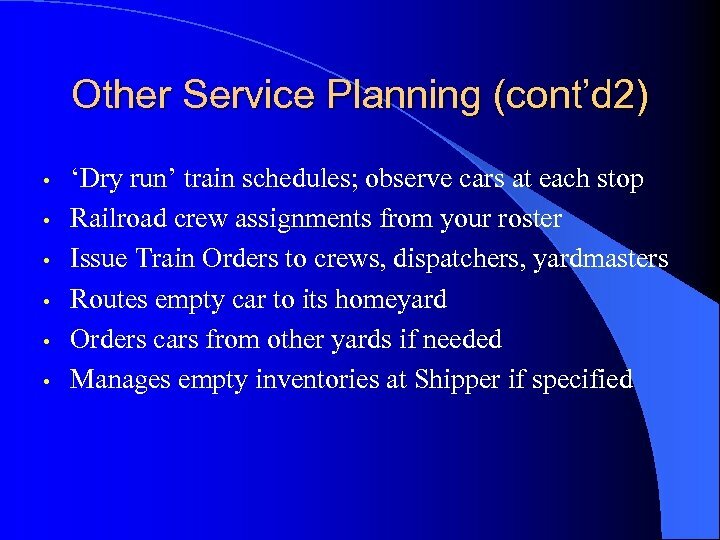 Other Operations (cont’d) • • • Trace any shipment activity: empties, full’s, via yards, delivery, empties, home Timing of loading/unloading not constrained, you decide Same car is moved many times per session depending on trains scheduled, load/unload times, etc. 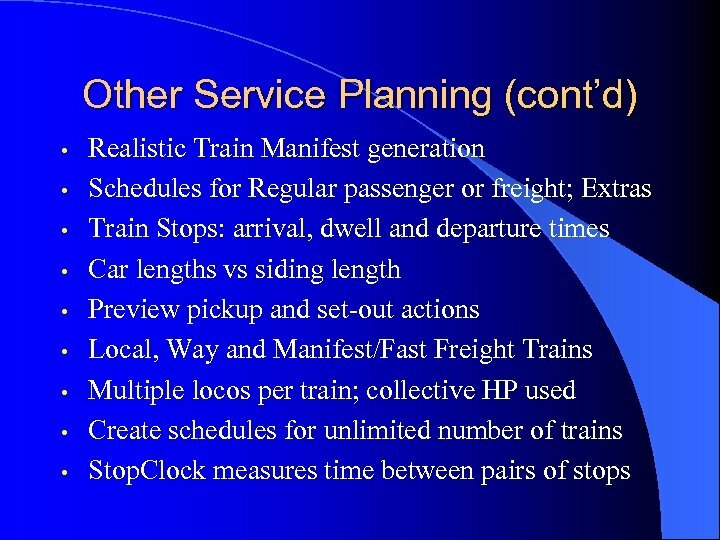 Warning generated if not enough horsepower assigned If not enough siding space: manifest altered or warning issued - you decide Revisit stop by the same train. 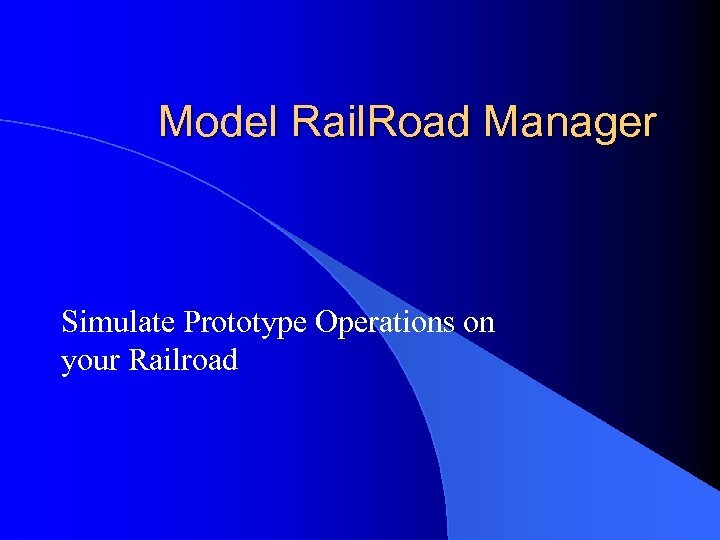 Easier to Use • • Beginner, Intermediate and Advanced User interfaces Use learning mode while building your simulator, then turn off unneeded details to operate Turn on Information Alert to get more details on what program is doing. 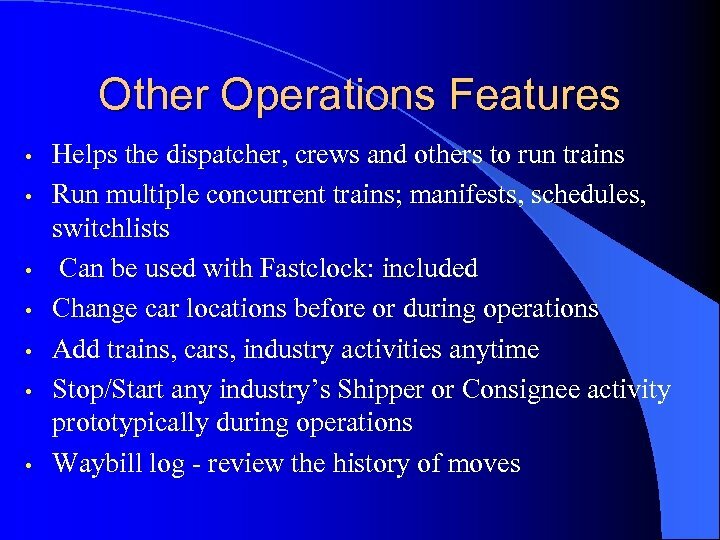 Turn off anytime Long and Short Menus - your preference Show only minimal data required if you want to If sidings are not long enough now, choose to ignore warning or have cars removed from manifest until there is room. 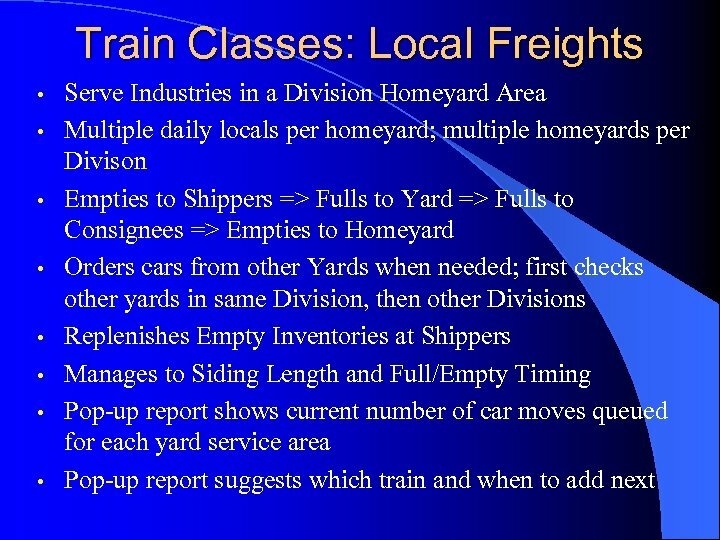 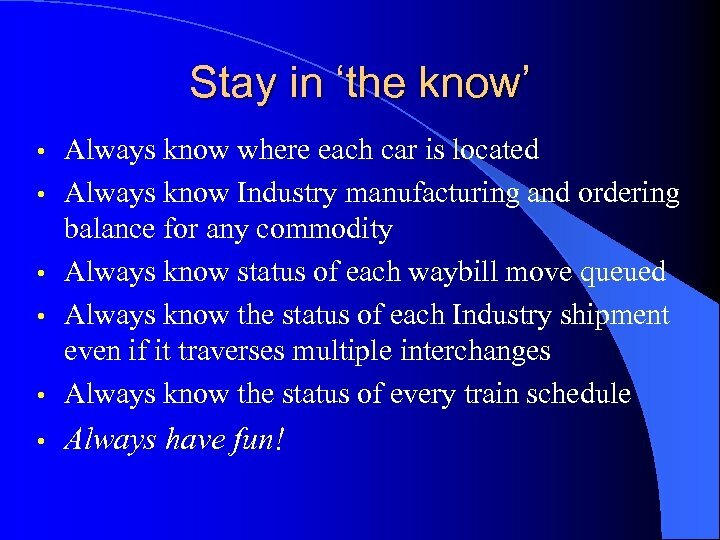 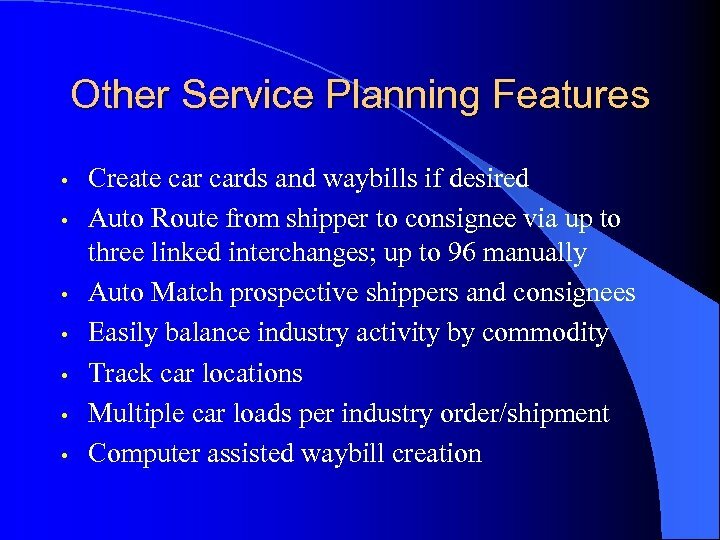 If shipper/consignee is still loading/unloading car when car is otherwise eligible for train manifest, you can ignore warning or to not include the car on the manifest until it is ready. 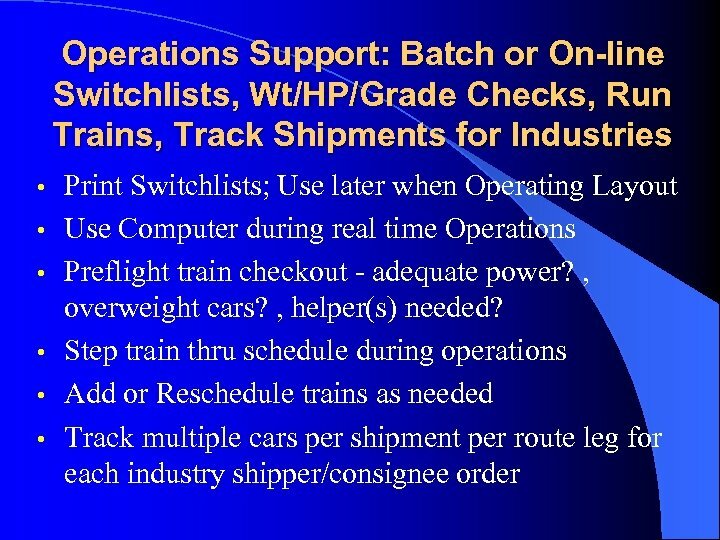 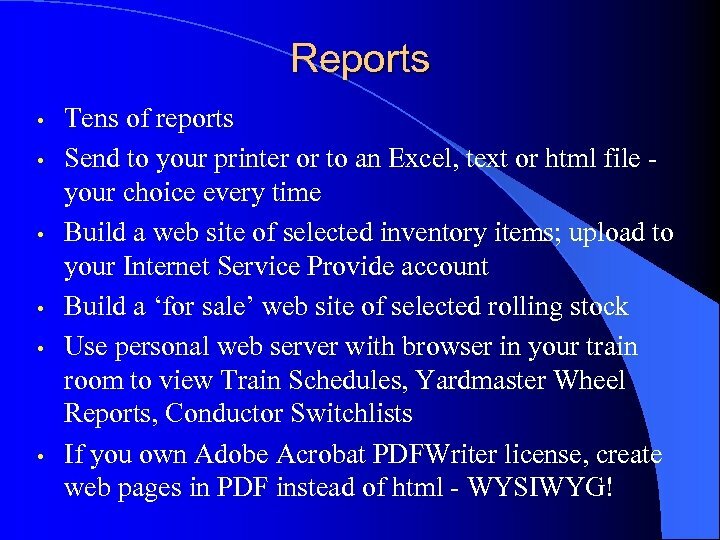 Reports • • • Tens of reports Send to your printer or to an Excel, text or html file your choice every time Build a web site of selected inventory items; upload to your Internet Service Provide account Build a ‘for sale’ web site of selected rolling stock Use personal web server with browser in your train room to view Train Schedules, Yardmaster Wheel Reports, Conductor Switchlists If you own Adobe Acrobat PDFWriter license, create web pages in PDF instead of html - WYSIWYG!